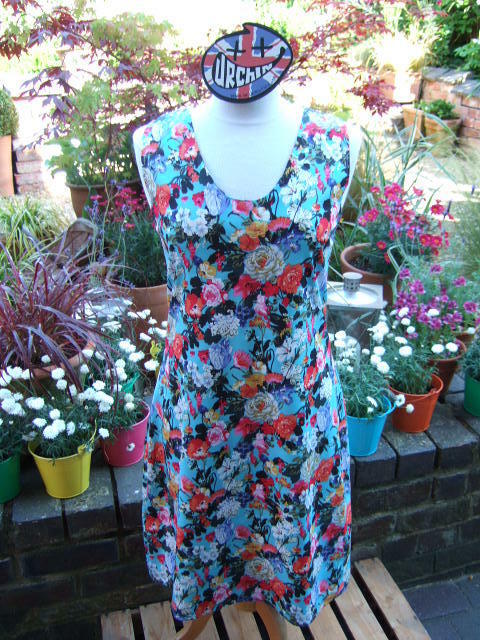 A really colourful Cotton Print Dress. We have added just a small percentage of Polyester to the knit to create a really easy wearing fabric. A deep curved neck line with a slightly waisted cut just add's that little extra to this real classic design.